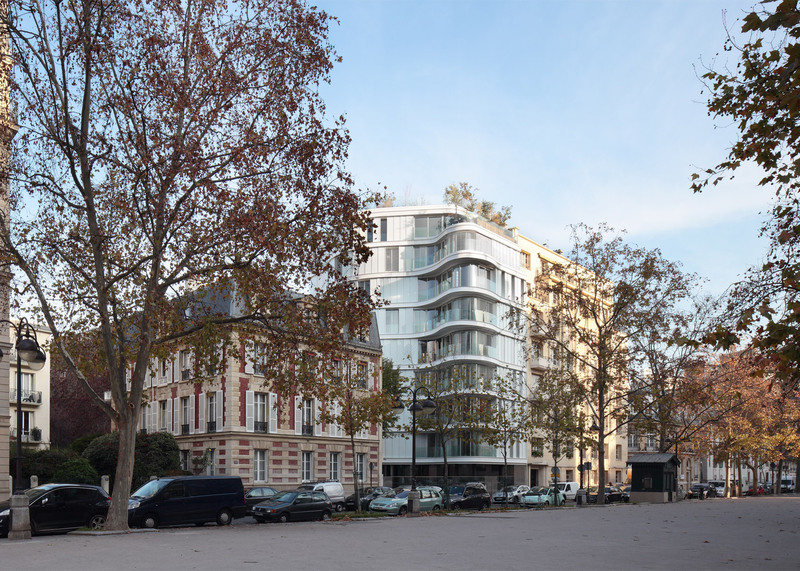 French firm ECDM has added a nine-storey tower with an undulating glass form to a row of housing blocks in Paris' 7th arrondissement (+ slideshow). 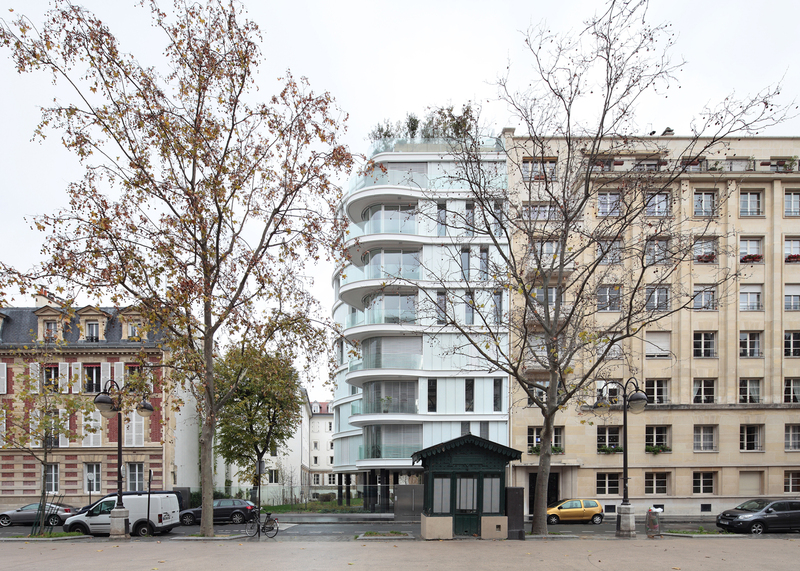 Paris-based ECDM was tasked with creating both apartments for sale and social housing for a site on Avenue de Saxe. The plot already had a garden – a feature that the architects were keen to retain. This led them to split the design into two parts. An existing five-storey block at the rear was converted into 24 social housing units, and a new tower was built at the front containing 14 sale flats. The plant-filled courtyard sits in between the two buildings, and a boardwalk extends across it to connect them. The space is visible from the street, thanks to an opening between the tower and its neighbour. "Above all is the question of the garden, this protected and timeless area that we perceive, and that have been able to make visible," said the design team. The nine-storey tower fronts Avenue de Saxe. Featuring a steel frame and glazed facade, the curving structure is in stark contrast to its older brick and stone neighbours. 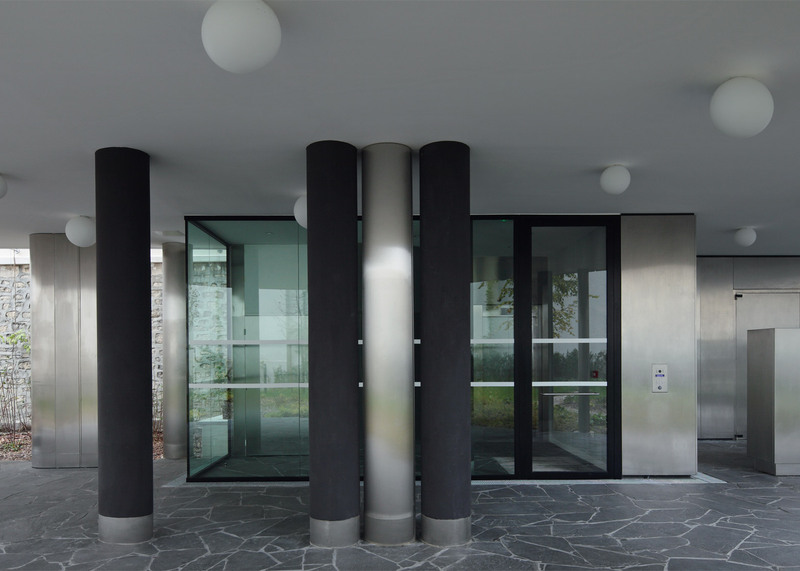 The building contains a generous foyer at ground level, which is slightly recessed and framed by curved columns. 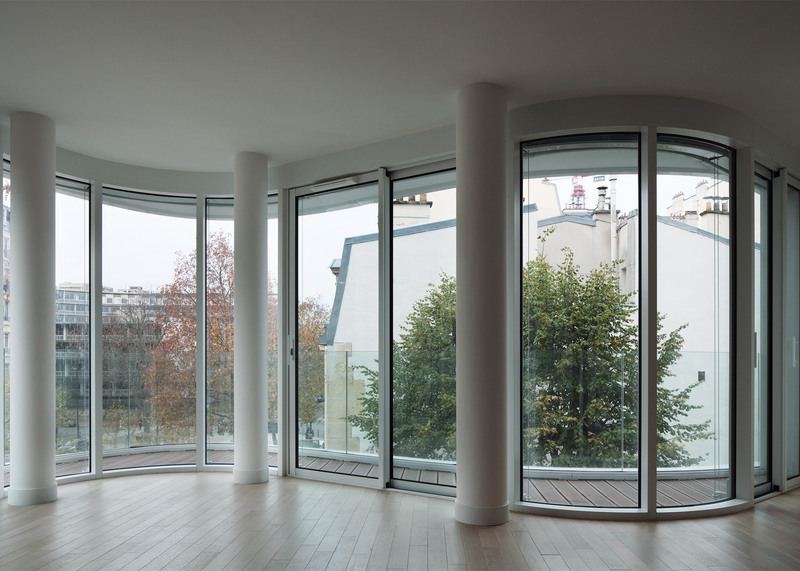 Apart from the penthouse floors, the levels above accommodate two apartments each. 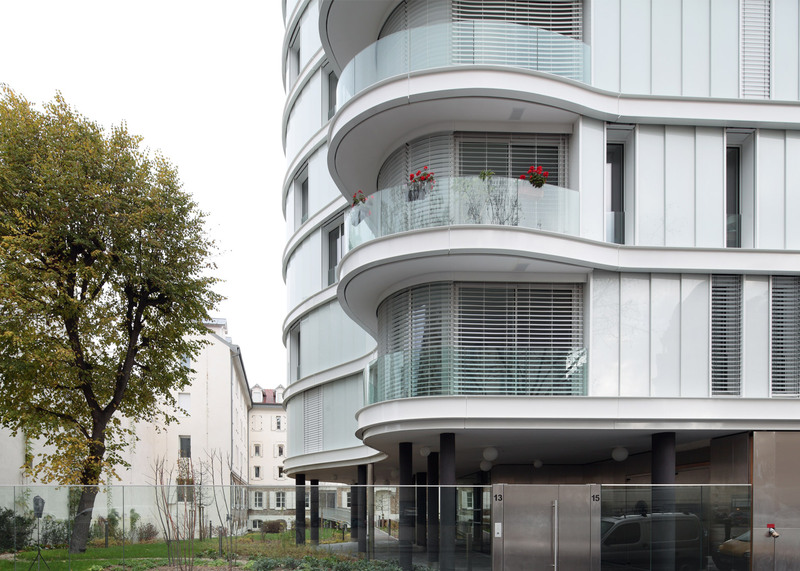 Homes at the front all feature living spaces that open out to street-facing balconies. "The new building is compact, built on stilts, and framing the view," said ECDM. The building behind forms a U shape in plan. 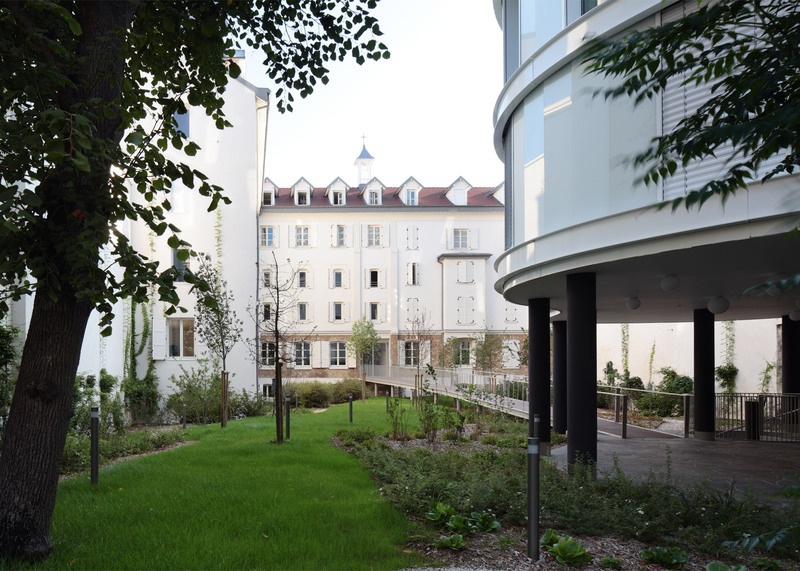 The social housing units contained in this building largely feature views of the garden in front. "Architectural styles are preserved as witnesses of a complex past, within which we have to overlaid a contemporary work," added the team. 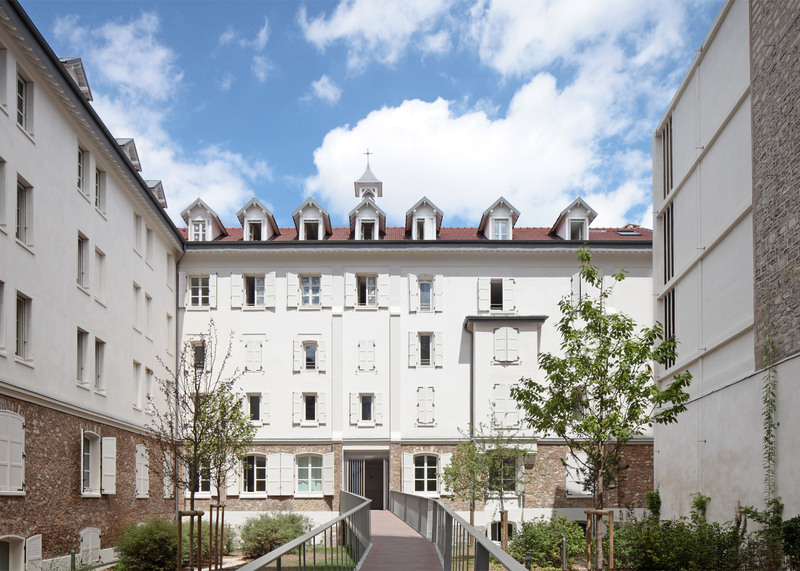 Named Villa Saxe, the project was completed in November 2015. 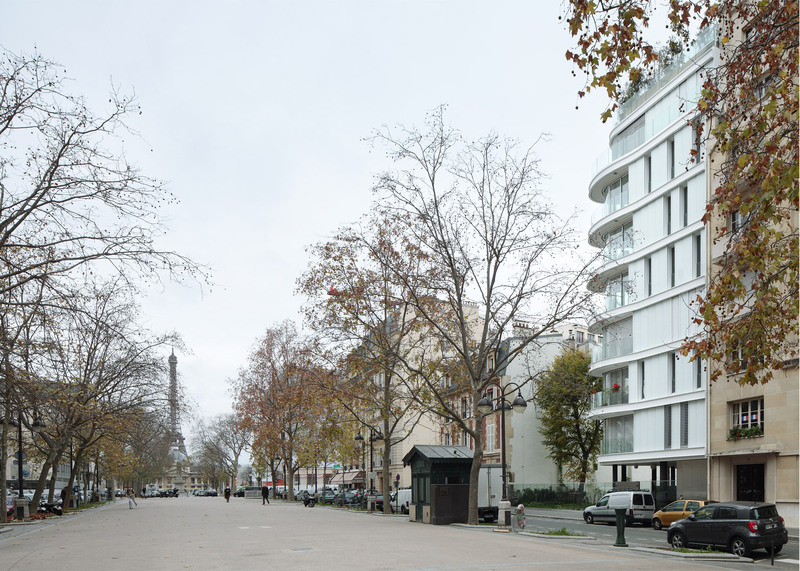 It contains a total of 2,189 square metres. 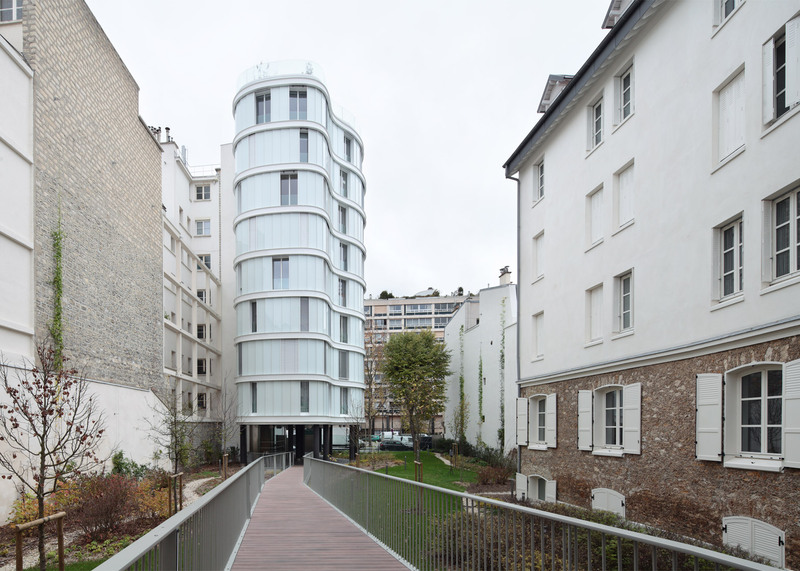 ECDM is led by architects Emmanuel Combarel and Dominique Marrec. Past projects by the firm include a nursery with rippling concrete walls and a housing scheme with curving balconies.